Wolves Athletics Club runners acheived great success on two different surfaces in two different locales on Saturday. 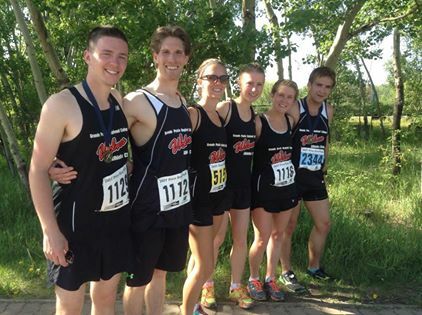 In Grande Prairie, Club runners took the top male and female spots in two of three races at the 39th Annual Daily Herald Tribune Press Run. Hayden Hollowell established a new race record in the half marathon distance, clocking a time of 1:18:11. Hollowell’s margin of victory was 8 minutes; over 2 km ahead of the runner up Landon Dunbar. Amanda Patteson (women’s 10km – 42:11), Jackie Benning (women’s 5 km – 19:11), and Brandon Wladyko (10 km – 38:00) were the other WAC winners. Kirsten Manz placed second in the women’s 5 km while Josh Malmstem was 5th in the men’s 10 km. In Edmonton, a trio of WAC women contested the U of A Golden Bear Challenge. In the women’s 1500m, the Grande Prairie duo of Mirelle Martens (4:39) and Jamie Wigmore (4:45) went 1-2. Marten’s clocking was a personal best time and achieved the qualifying standard for the 2015 AC National Junior Championships. Two hours later, Martens and Wigmore, along with Jess Baraskewich, lined up for the meet’s featured event, the 800m. This time it was Wigmore who was the best local, placing 5th in a personal best time of 2:14. Martens (2:18) was eighth, while Baraskewich (2:19) was ninth. 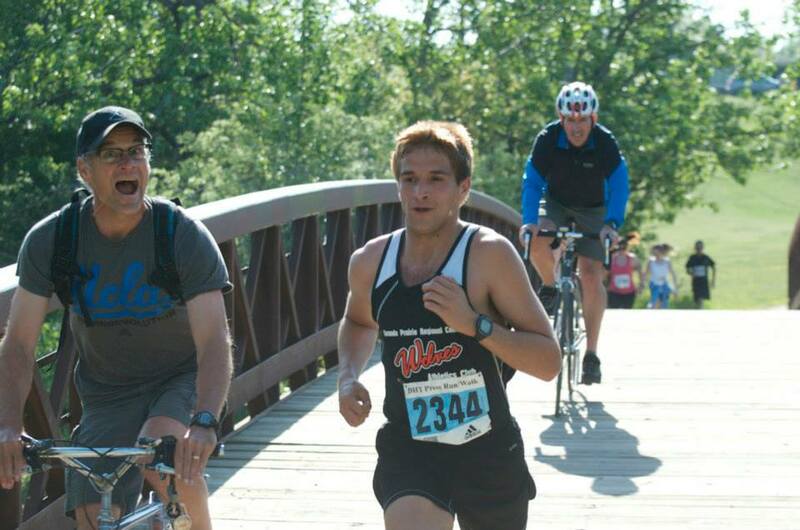 This entry was posted in Outdoor Track and Field, Road Racing/Triathlon and tagged Daily Herald Tribune Press Run, Golden Bear Challenge Track Meet, GPRC Wolves, Grande Prairie, Hayden Hollowell, Jamie Wigmore, mirelle martens, Road Racing, Track and Field, Wolves Athletics Club. Bookmark the permalink.